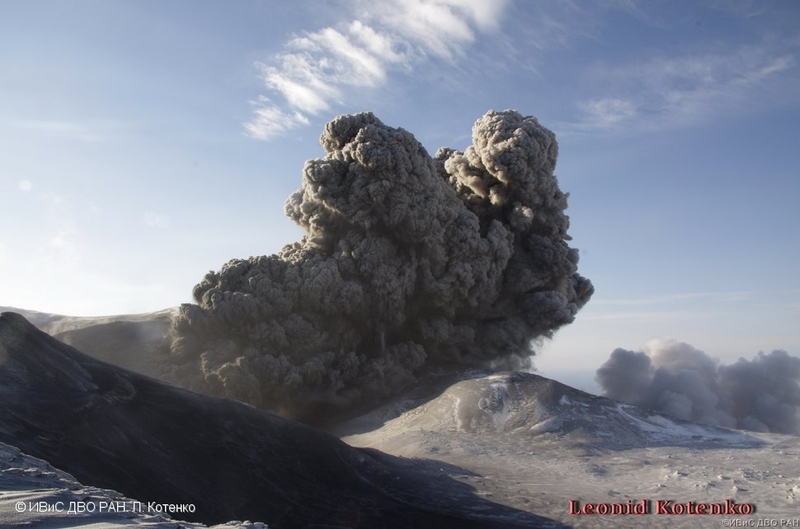 Explosive activity of Ebeko volcano on 27 February, 2017. 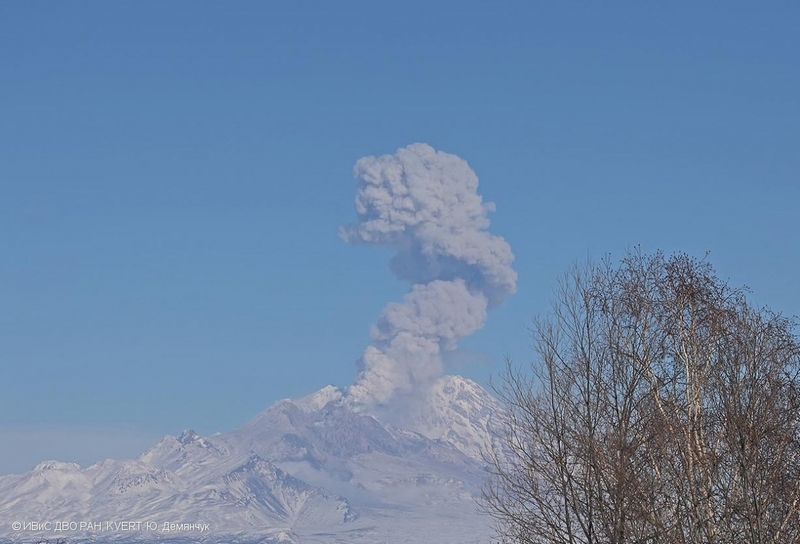 Explosions sent ash up to 5-6 km a.s.l. 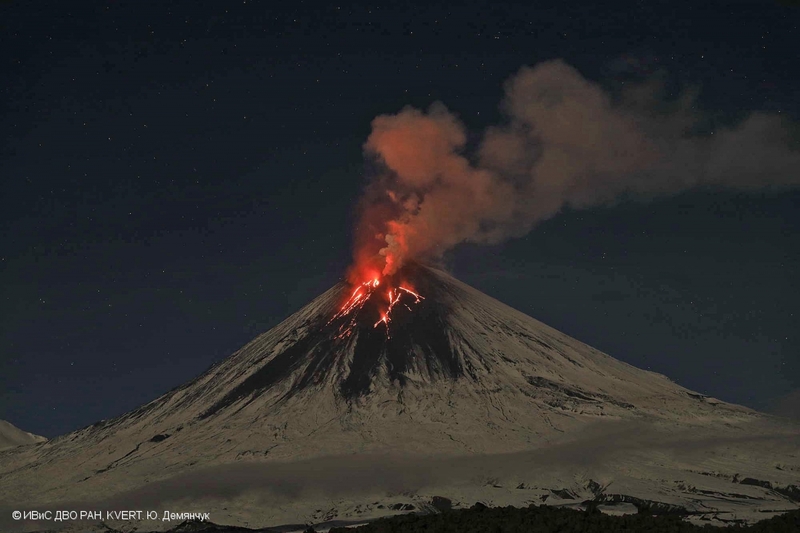 on 23 February, 2017. 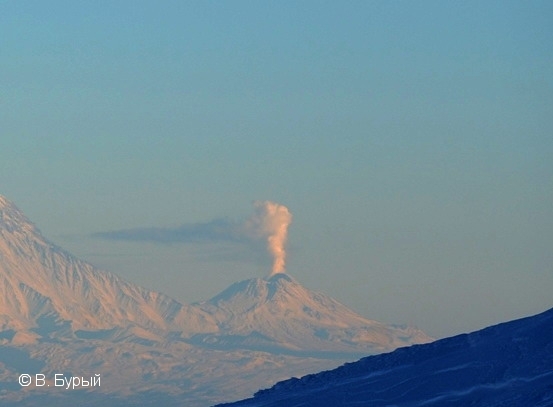 Explosions sent ash up to 5.5 km a.s.l. 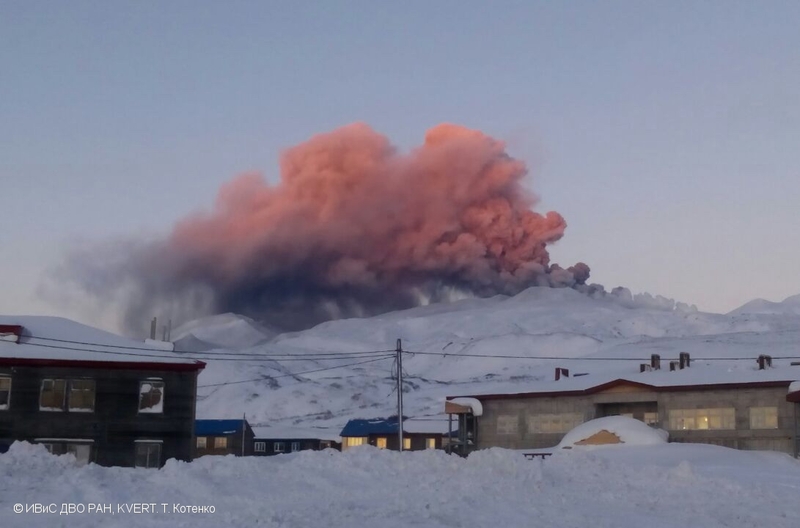 on 20 February, 2017. 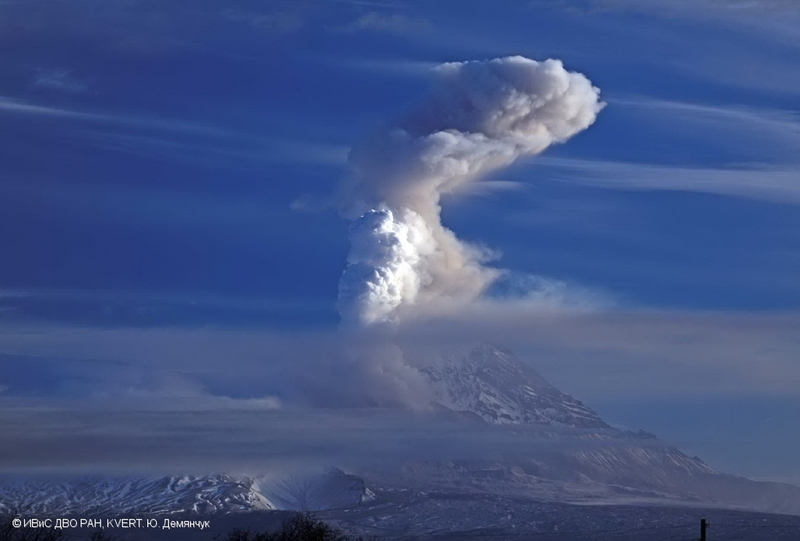 Explosive eruption of Ebeko volcano on 19 January, 2017. 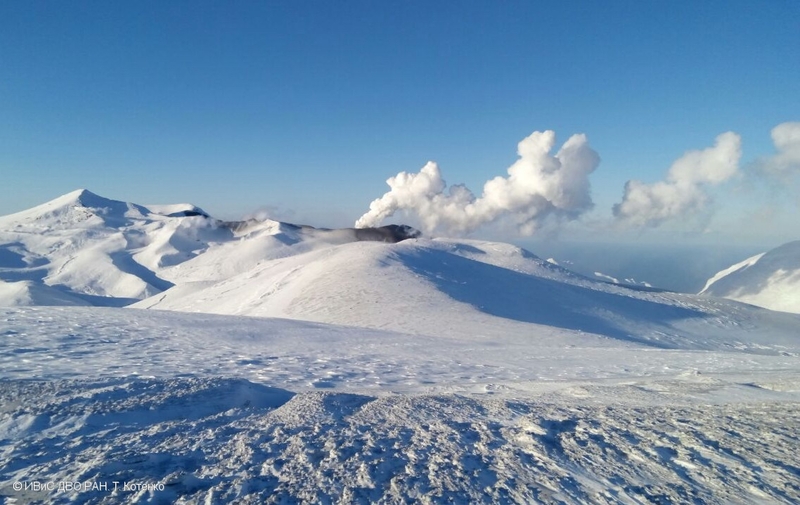 A gas-steam activity of Ebeko volcano on 12 January, 2017. 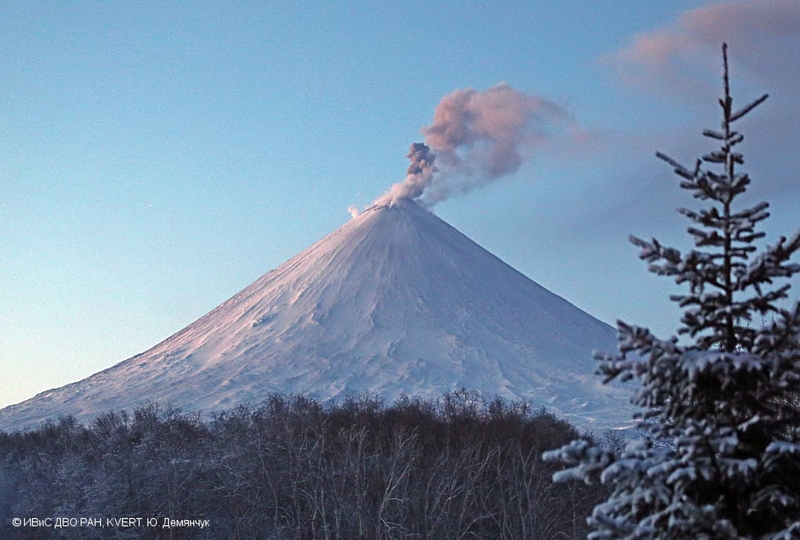 Gas-steam with small amount of ash activity of Ebeko volcano on 10 January, 2017. 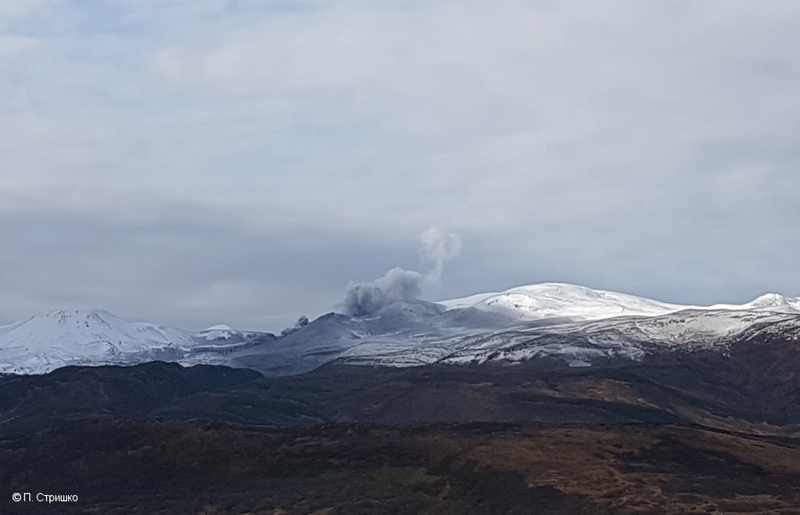 Gas-steam plume containing small amount of ash is extending for about 4.7 km to the northeast from the volcano on 06 January, 2017. 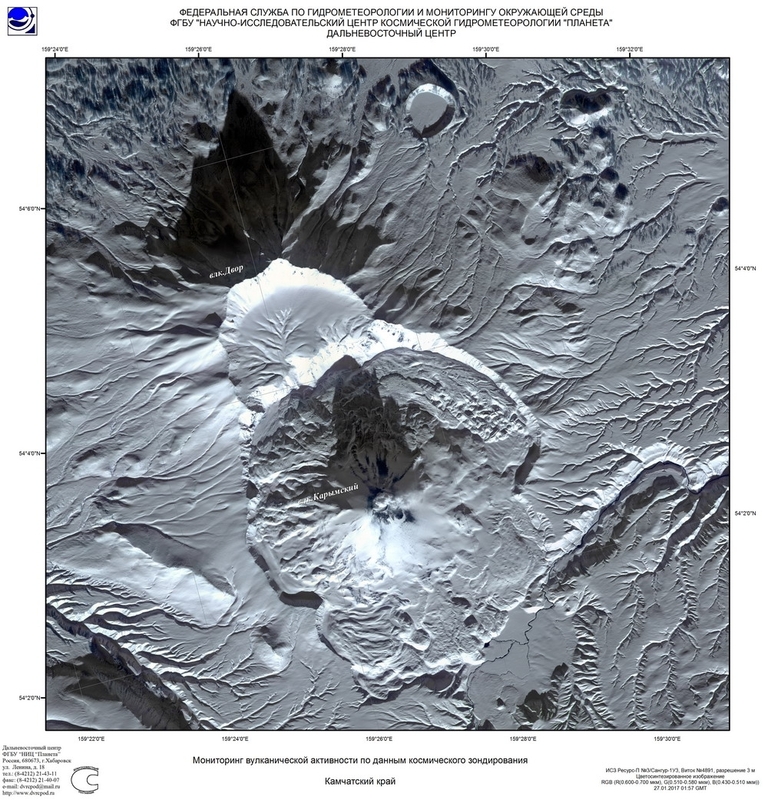 Satellite image Landsat-7, IS VolSatView. 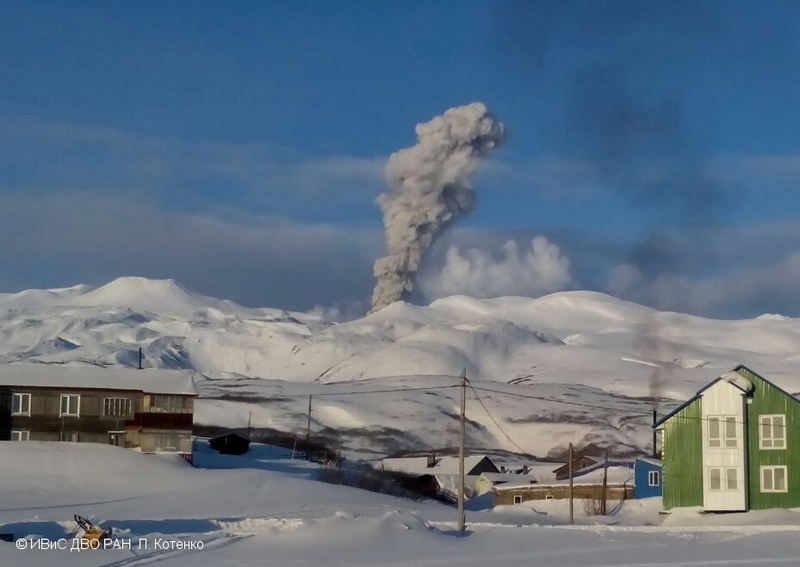 Strong gas-steam activity of Bezymianny volcano on 19 December, 2016. 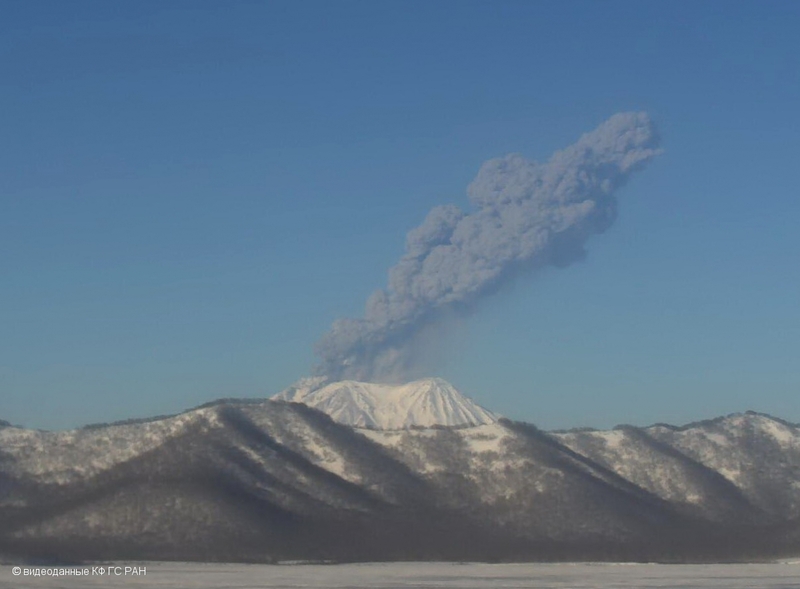 Explosive eruption of Ebeko volcano on 26 December, 2016. 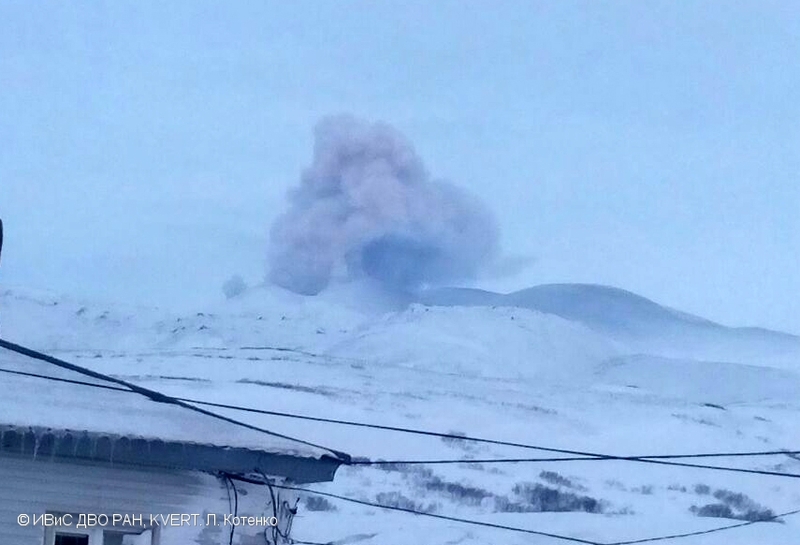 Explosions sent ash up to 7 km a.s.l. 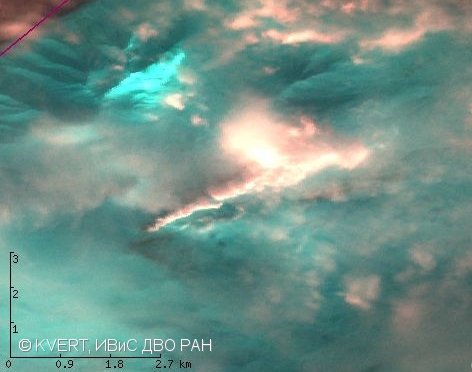 at 23:14 UTC 19 December, 2016. 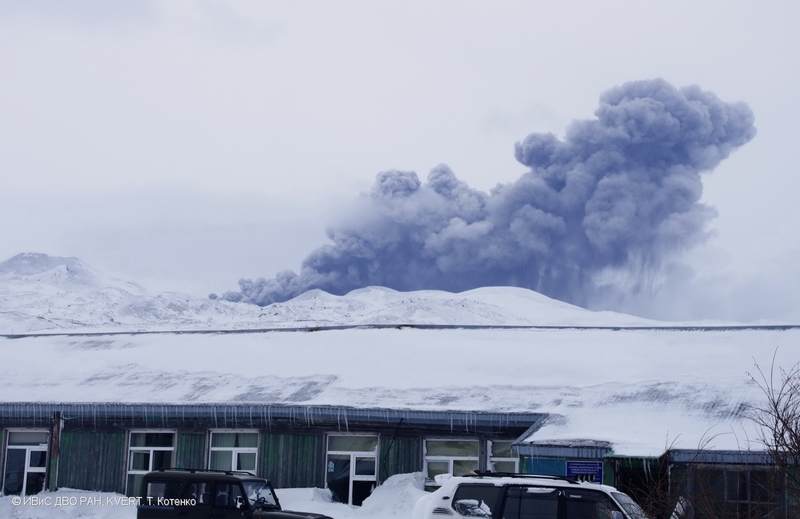 Explosive eruption of Ebeko volcano at 01:16 UTC on 10 December, 2016. 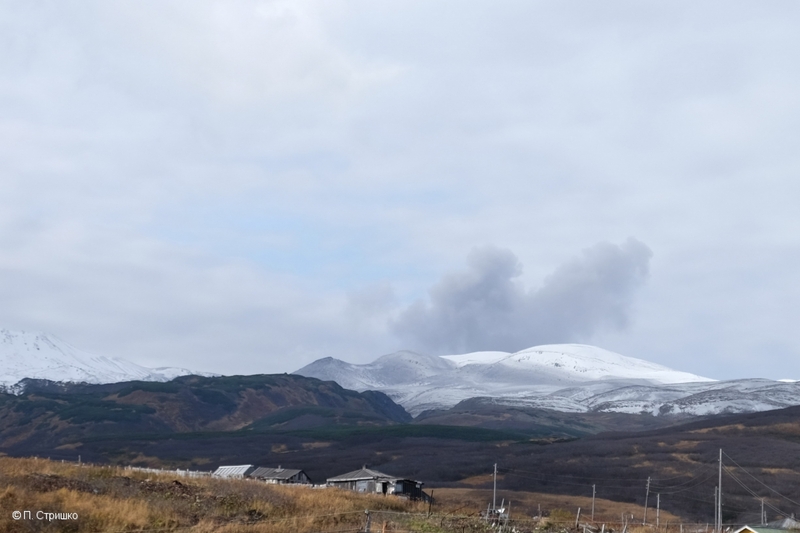 A moderate gas-steam containing ash explosive activity of Ebeko volcano on 08-09 December, 2016. 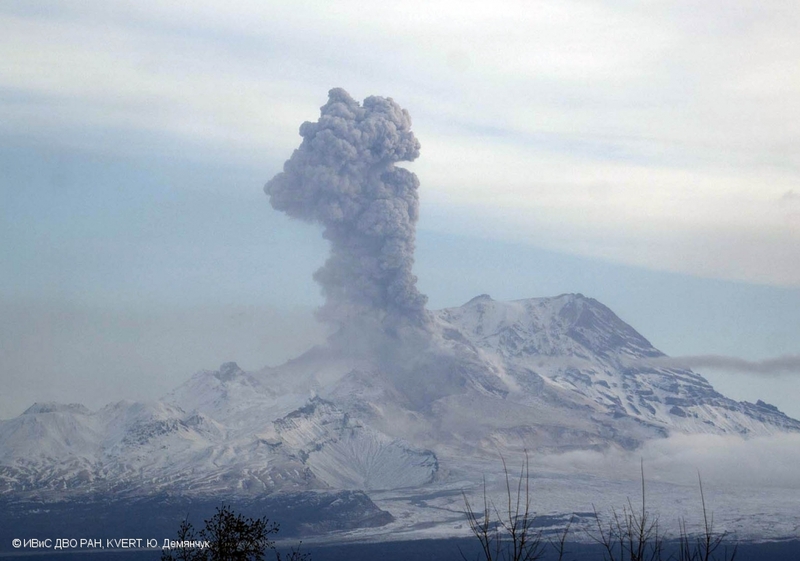 Explosions sent ash up to 6.5-7 km a.s.l., ash plume extended to the east from the volcano. 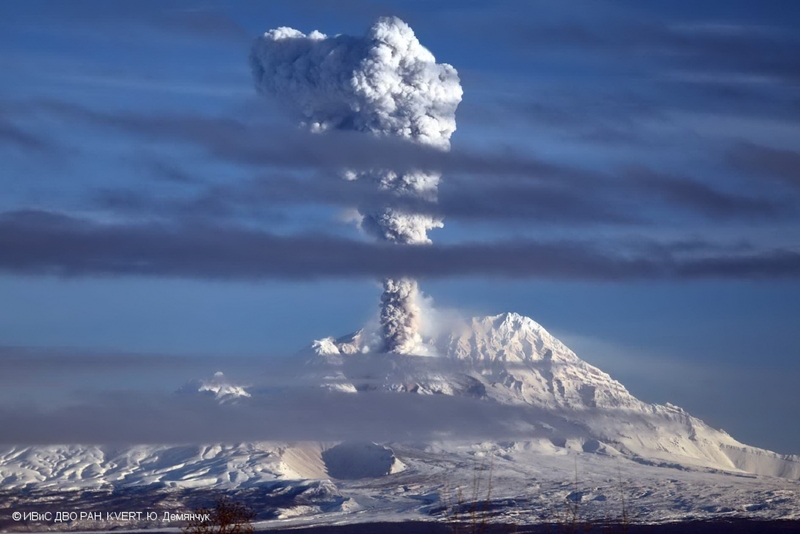 Ash explosion at 20:58 UTC on 20 October, 2016. 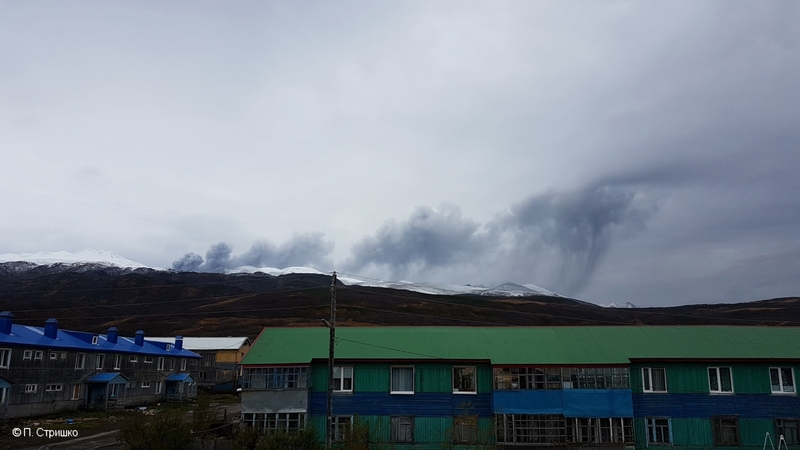 Ash explosions from Ebeko volcano at 22:44 GMT on 19 October, 2016, view from Severo-Kurilsk. 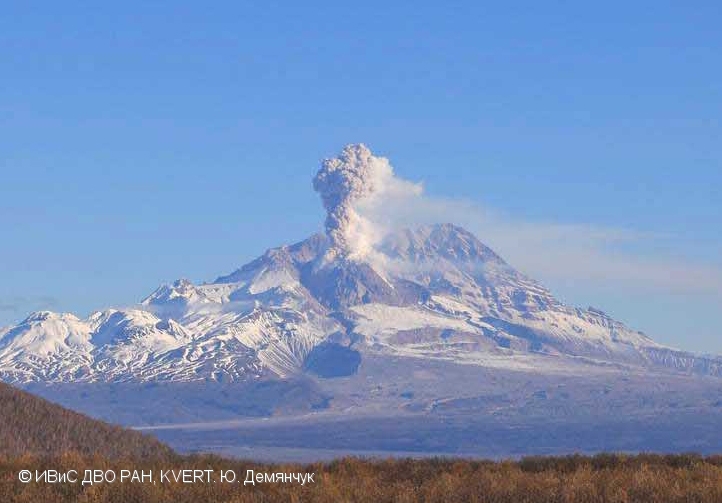 Ash explosion at the lava dome of Sheveluch volcano on 14 October, 2016. 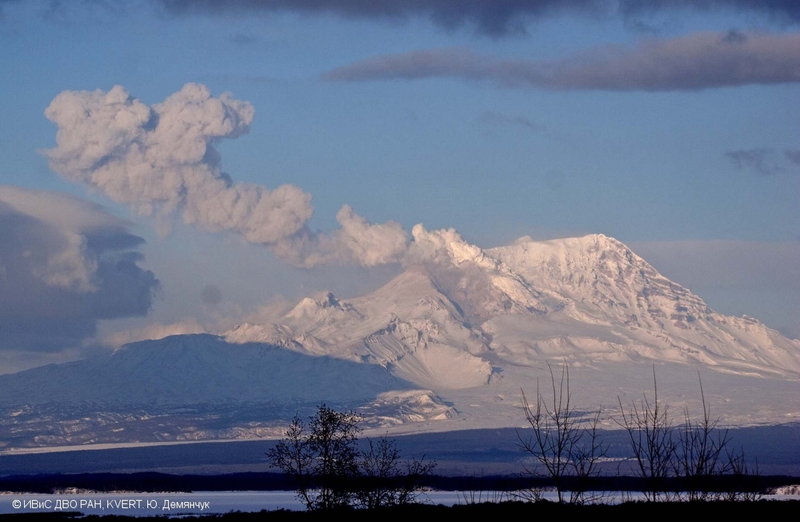 Explosion of Sheveluch volcano sent ash up to 7 km a.s.l.